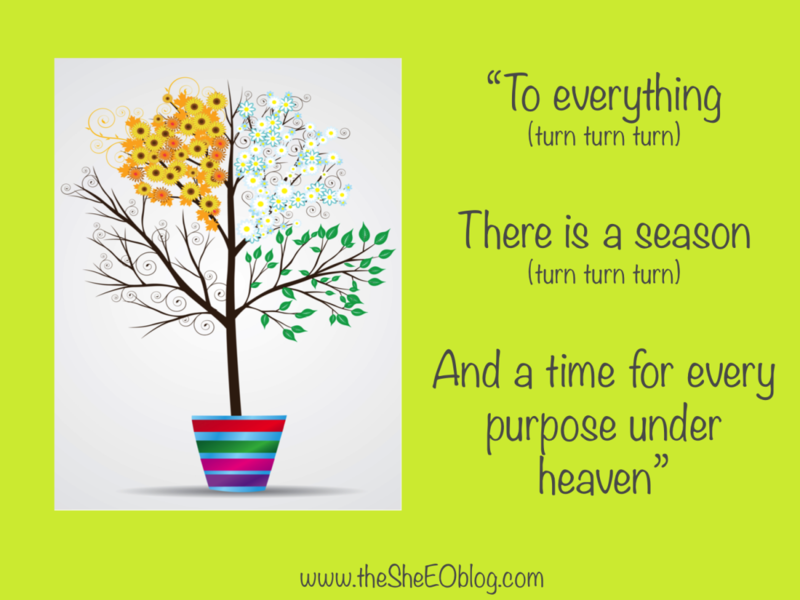 To everything (turn turn turn) there is a season. What’s your season, right now? I know. It’s been some time since I posted here, not for lack of desire but somehow, it just hasn’t been the season for writing. There’s been so many – too many – thoughts and ideas and priorities pulsing through my veins that it’s taken some time to quiet my mind and harness my energy. For me it’s been a time to plant, a time to grow. As a person, a professional, and a parent. And that for me has been intensely personal. Too personal to post. For a person who grew up on the land in the countryside, the great outdoors and the seasons were second nature. But something happens when you move away to the city, build a professional career and – to a certain extent – lose touch with that reality. And raw emotion. We are conditioned – productively, spiritually and even climatically – to be constant. To deliver the same, achieve the same all year round. Year in, year out. But that’s just not reality for complexity of human beings. To be a happy member of our race we need time to “be”. And that means respecting the seasons of our lives. The past five years have been an entirely new season for me. Not every day as productive as it once was, at least in ways that are easy to measure. Not every deadline has been met, at least the first time round. At times I’ve cursed and shouted and sulked. And other times I’ve just had a quiet chat with myself, willing myself on, to find a way to make things work. Frustrations have given way to new feelings, new life, new lessons. Learning the season, and what new possibilities it brings. Maintaining what career momentum I could along the way. All the while I’ve been grappling with parenthood, wondering how it can be so hard to get it right?? But this year, my son’s transition to big school has been a watershed moment. I finally feel like I’ve grown into my role as mum. Sure, school brings new challenges and routines and yes, I admit it, I forgot to pick him up from school one day (he survived! ), I’ve forgotten to pack lunch (he loved getting a lunch order!) and I regularly forget which day is sports uniform (I now keep a spare set in his bag). Still its created the condition for me to find a new level between my BC life, and my plans for the future. It’s no wonder that I’ve really, really missed parts of my old life. I was good at it, I knew what I was doing and it was oh-so-easy to control. Or at least to think I was in control! While some of my work was easy to continue, I’ve definitely missed my regular blogging and the conversations we have here. I know that the time’s been well invested elsewhere in sowing and tending something bigger. But all the while I’ve been waiting for the right conditions and now, I’m back. It’s the season now to refocus my energy, to re-engage with my friends and colleagues and followers, and to create new opportunities in this next phase of my life. Maybe you’ve had a similar experience while I’ve been gone. Maybe you’re in a different season of your own right now. Or planning to start one. Wherever you’re at, I hope you’ll come along to reconnect and be part of the journey with me! Turn, turn, turn. Yep, it’s a good time and place to be.